hen King Julien XII (also known as Uncle King Julien), a very strict ring-tailed lemur who forced the kingdom to be quiet in order to avoid being attacked by foosa, is foretold to be eaten, he hands down his kingship to his nephew, King Julien XIII, a selfish, notorious party animal, and leaves. While Uncle King Julien is gone the new King Julien gets into various troublesome situations. All Hail King Julien Season 4 Episode 8 – King Julien Superstar! 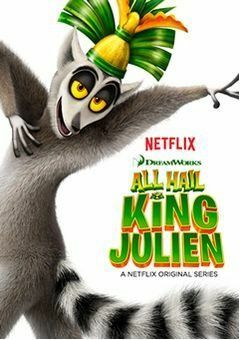 All Hail King Julien Season 3 Episode 4 – Oh Brother Where Aren’t Thou? All Hail King Julien Season 2 Episode 16 King Juli-END?